Özsu, U. (2015). 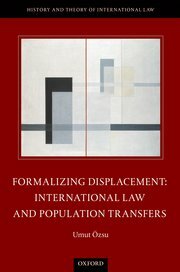 Formalizing Displacement : International Law and Population Transfers. The History and Theory of International Law. Oxford University Press.